Passionate. Fun. Dedicated. 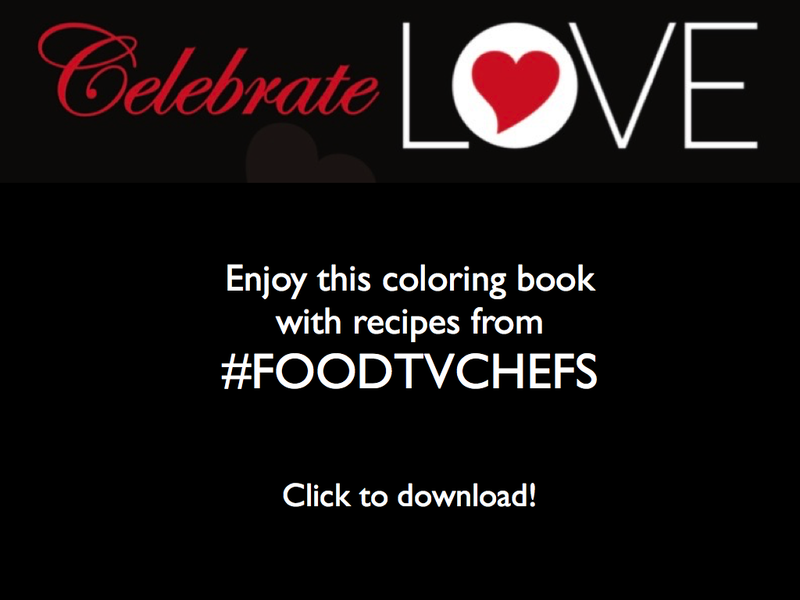 Is how I would describe one of my favorite #FoodTVChat chef’s… Lisa-Ann Marchesi. Not only is Lisa-Ann a talented chef but she’s a food entreprenuer with a thriving online (finishing) olive oil company, Bella D’ Oliva by L.A. Marchesi. What interested me was her approach towards how she sources her product. She insists on visiting the Italian olive farms before she makes a purchase. This year her travels took her to the island of Sicily where she was invited to visit the farms at Castelvetrano, Montevago and Sciacca. In Tuscany, Lisa-Ann went to Montenero d’ Orcia and Grosetto; and in Apulia (Puglia) to Bisceglia and Vasto in the region of Abruzzo along the Adriatic Sea. Lisa-Ann kindly agreed to give us a behind the olive oil bottle, so to speak, view of her travels and business. You’ll also delight in her YouTube Channel that showcases her experiences in Italy. About Lisa-Ann Marchesi – Lisa-Ann grew up in a close-knit Italian family. From spending time in the kitchen with her Nona Anna, she learned about cooking and developed a passion for how food can bring people closer together. Her passion and belief in herself led her to competing on MasterChef, the popular Fox Broadcast/Gordon Ramsay reality cooking show. Lisa-Ann is also a foodpreneur. She launched a unique olive oil company called Bella D’Oliva USA. Needless to say, her passion runs strong in bringing the best product to her customers which meets her high standards. Diva Foodies: Why is it important to you to visit the olive farms where you ultimately will purchase the oil for Bella D’ Oliva by L.A. Marchesi? Lisa-Ann Marchesi: There is so much fraud reported on olive oil and pure extra virgin olive oil importing from Italy, quality is my number one priority. I want to make sure that my consumers are experiencing and tasting PURE extra virgin olive oil from Italy. My personal relationships with my olive groves in Italy is the special ingredient to my business. 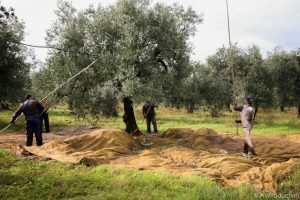 I annually visit the olive groves where my olives are grown and to the mill where they are processed to make sure that they are coming directly from Italy and pure with no additives and blends from other countries. 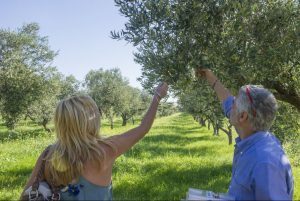 Diva Foodies: During your trip to Italy, for Bella D’ Oliva by L.A. Marchesi, what did you love best about your visits to the olive farms? Lisa-Ann Marchesi: The respect and honor my artisan farmers have with their farm and process. I look for passion from family honored traditions passed down from generations. Hands on dedication. Diva Foodies: In your videos you share with us wonderful behind the scenes of how olive oil is produced. What surprised you the most about how these companies we chose to work with processed their oil? Lisa-Ann Marchesi: They take great pride in their land, farm and family. These are families that have been working from generation to generation to produce pure extra virgin olive oil for their family. Now they are working with me to bring the same high quality and integrity of fine pure extra virgin olive to my family and YOURS! Diva Foodies: It was fun watching you bring your Italian point of view to your cooking on MasterChef. During your trip to Italy which foods did you find different than you had expected? Lisa-Ann Marchesi: SICILIAN PIZZA is THIN not thick crusted like here in North America and The PASTA! Fresh and light…I couldn’t figure out how and then I realized it’s in the WATER and flour! Not something you find here… lots of seafood that was served raw. For instance, in Sicily, I had raw prawns with fresh lemon and anchovies…lets not forget the octopus prepared in every way possible when I am used to it being in a cold seafood salad and then the infamous…sea urchin! Oh boy…that was a tough one to take down, but I had to experience it all and ALL I did! The rice balls…I make my signature rice balls I call “Balls of Fury”. I had no idea it was a Sicilian street food and made many different ways. I like mine…Just ask my son Dominick! Diva Foodies: Which foods that you ate in Italy, that you previously had never made, did you bring home to try? Lisa-Ann Marchesi: Sicilian street food was interesting and we stopped in to a local place to eat and learn how to make “panelle” made with chickpea flour (video to follow) I also learned about a dish when visiting Marsala in Sicily. Marsala wine is from the region of Marsala not the wine itself. Most notably a sweet dessert type port that we use or when making veal/chicken marsala…did you know that didn’t come from Italy??? What?? YES!! Diva Foodies: How did you put your “LA Marchesi” special twist to them? Lisa-Ann Marchesi: Added some heat of course…red hot pepper/cayenne! Diva Foodies: As a foodpreneur of a start-up business what are your greatest challenges? Lisa-Ann Marchesi: TRUST. Trusting people who want to work with you and proclaim they have your best interests. I am EXTREMELY CAUTIOUS of who I work with when it comes to my business. Time is also a challenge. Spending time with my family is a challenge when I juggle two businesses. 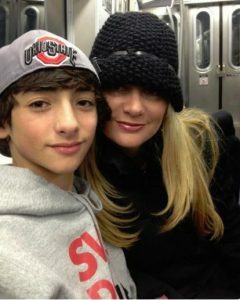 I try to keep my family involved with my travel and business as much as I can…especially my son Dominick. He is seeing firsthand how hard work, dedication, passion and perseverance pays off. 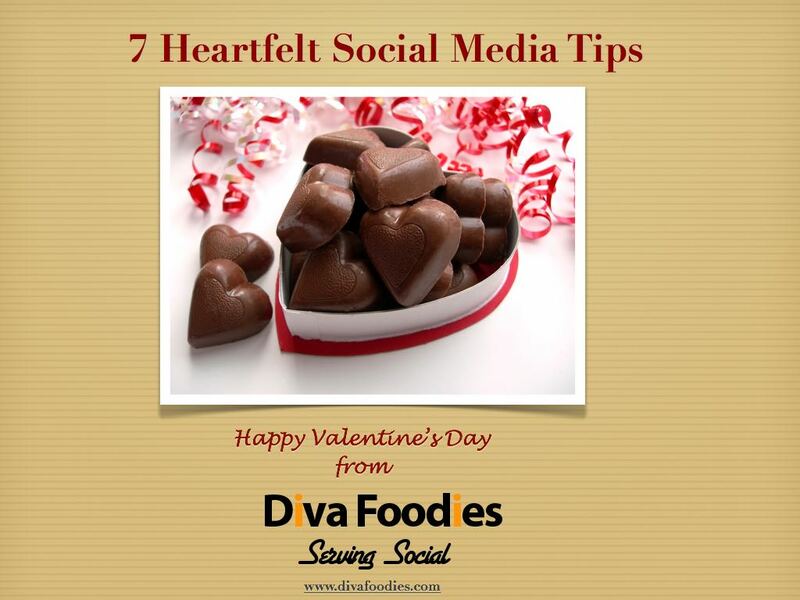 Diva Foodies: You’re active on social media under both @LAMarchesi and @BellaDOlivaUSA. How do you determine the content for Bella D’ Oliva by L.A. Marchesi versus for your personal brand @LAMarchesi? Lisa-Ann Marchesi: You know what…it’s all relevant. I want to connect to people both socially and professionally. I hope to inspire others to follow their dreams, passions and love for life! It’s limitless! I have worked in TV and appeared on several different shows like Dr. Oz, The Taste Season 2 and more. I want people to see who I am and they will understand my integrity, honesty and passion behind my business. Diva Foodies: Continuing on with social media, Bella D’ Oliva by L.A. Marchesi is on multiple social media channels. Which one do you find to be most effective in terms of return on your investment? Lisa-Ann Marchesi: Since Masterchef, my Twitter following exploded! I started with 500 and now over 4000! It is not easy to juggle so much social media and now with new apps coming out like SNAPCHAT, it’s getting tough! But with the limited characters to share, I find that FB gives more opportunity to share stories, etc. I am still trying to figure this all out…after all I’m Gen X baby! Diva Foodies: As is our tradition with Diva Foodies interviews, we’re tossing the virtual mic back to you for the last words. Lisa-Ann Marchesi: I followed my passion and it is never too late in life to do that. Believe in yourself because if you can dream it, see it, you can have it. Don’t wait for it happen…make it happen.